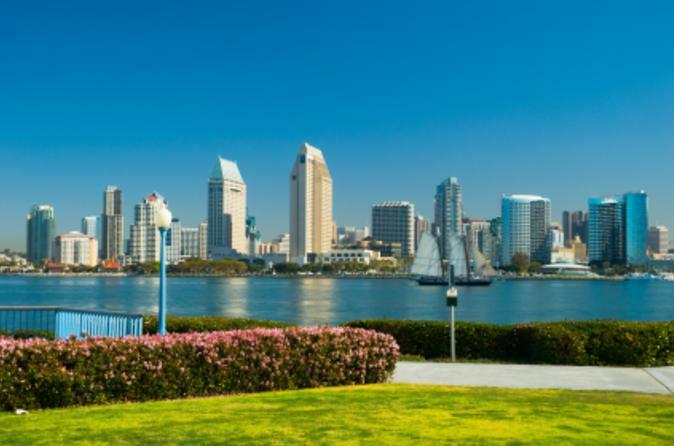 Enjoy both beauty and history on this day trip from Los Angeles to San Diego as you see beautiful beaches and famous sites. After boarding a comfortable motor coach in Los Angeles, you’ll head down the sunny Southern California coast to San Diego, stopping first in the seaside village of La Jolla. Here you will glimpse magnificent homes of the new "Beverly Hills" and stop at La Jolla Cove. When your stopover in La Jolla comes to an end, you’ll travel to the next highlight of your San Diego tour, the USS Midway! This decommissioned aircraft carrier is now a museum – you’ll find more than 60 different naval aviation exhibits and even a collection of 25 restored WWII aircraft. This museum is truly a WWII-buff’s dream. Next, you will continue along the Southern California coast to Coronado Island. This beautiful island is home to the Hotel Del Coronado, the largest all-wood building in America, made famous by Marilyn Monroe in the movie Some Like it Hot. It's a favorite among heads of state, US presidents and Hollywood’s most famous stars. After you’ve explored Coronado, you will travel Old Town San Diego. San Diego’s Old Town was founded in 1769 and is the site of the first European settlement on the West Coast. In Old Town, you’ll find the original village, including five original adobe buildings, the Whaley House (rumored to be haunted) and much more. You’ll also have time to visit the world market, Bazaar Del Mundo. Browse the market’s wares before returning to your coach for the scenic drive back to Los Angeles!